One of the ways in which my local society tries to engage its members is to organise club competitions. We have three each year, two traditional ones and a final one at the AGM meeting in April which is on a letter of the alphabet and only four pages. I usually have a go at them and even have been so lucky as to win the coveted trophy once or twice! This year the entries had to be on the letter I, so I chose Italia Turrita. Ever heard of her? 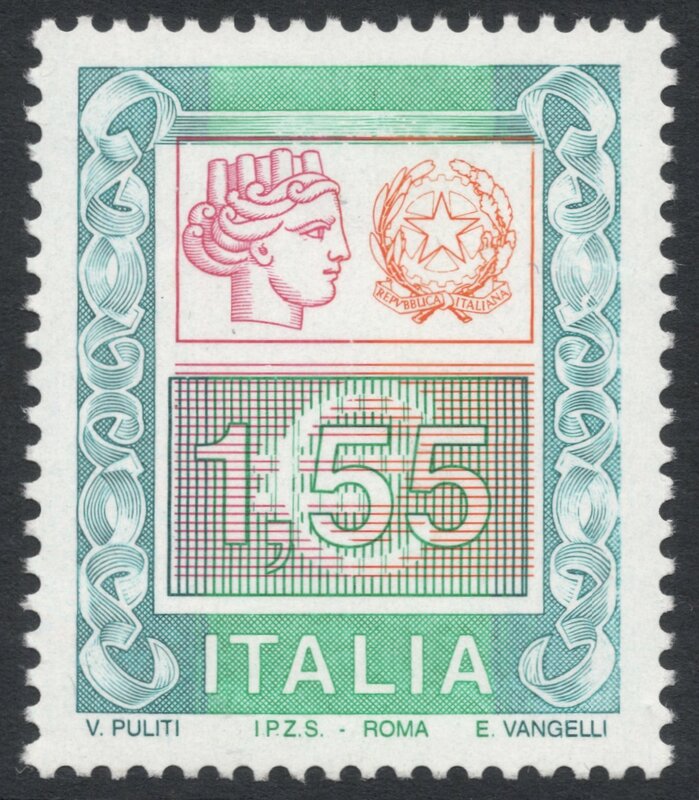 She is the female allegory of Italy, wearing what is so wonderfully called a mural crown. Apparently, though I'm not sure whether this has anything to do with the lady, the soldier who first breached the defences of a city was traditionally given such a crown. 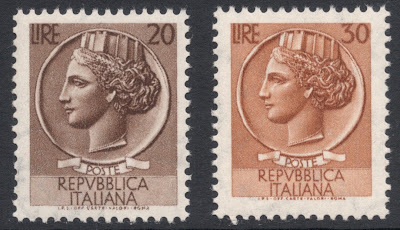 Italia Turrita appeared for the first time on the nation's definitives in 1929, as part of the 'Imperiale' series. 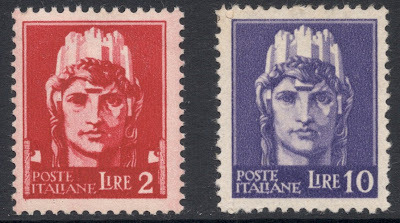 The design, by Paolo Paschetto, was reissued after the Second World War, but now without the fasces symbols in the lower corners. 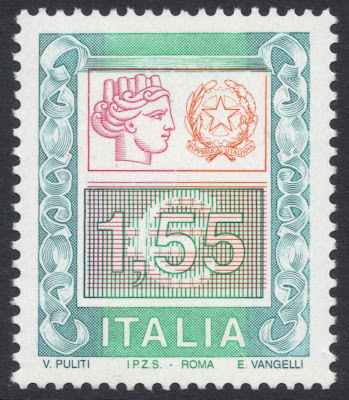 It was also used for a larger Express letter stamp, issued in 1945. But the lady has been truly immortalised on the 'Siracusana' definitive set of the 1950s. 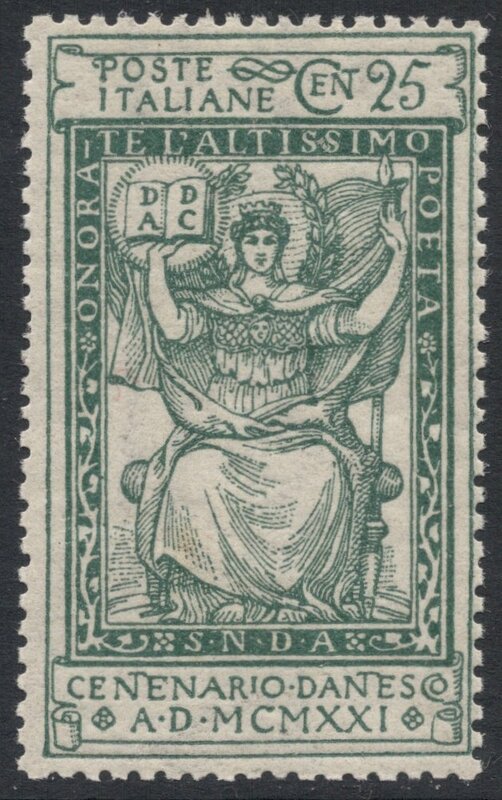 Her image on the stamp was based on the coins of Syracuse, hence the name of the set. It is an incredibly complicated set, which is why it is sometimes dubbed the Italian Machin. 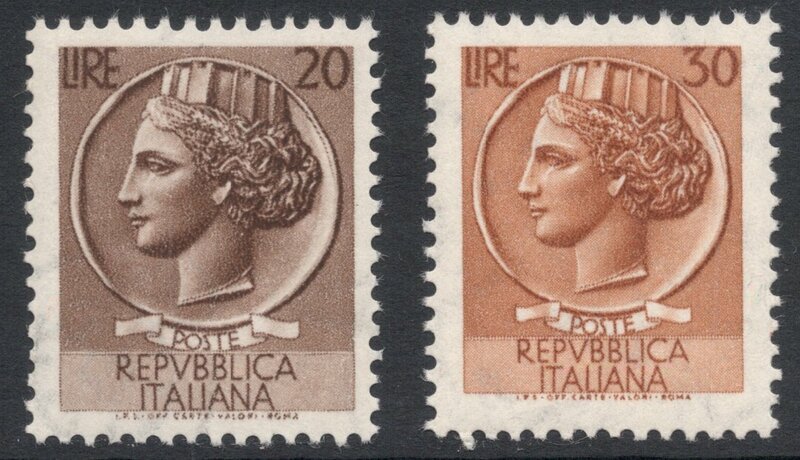 Shown here are just two of the more obvious varieties: the large design stamp and the small design stamp. The latter was introduced so that the sorting machines could get a better fluorescent signal. You can read more about this set here, and there's also a dedicated forum thread to be found here. And a fellow blogger, Keijo from Finland, has only just written about the set as well, so make sure you check out his site too! 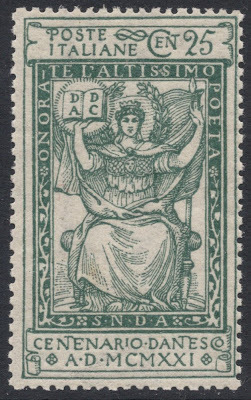 Nowadays, the lady may still be found on the high value definitives which were introduced in the 1980s and which are still going strong. Or are they? I'm not sure when the set was last added to but as far as I know it has not been replaced by any other set yet. 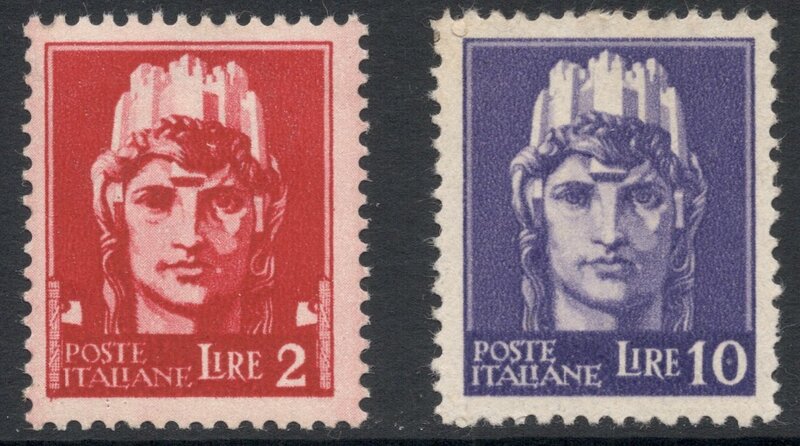 Of course there are also a good number of Italian commemorative stamps to be found with Italia Turrita on. 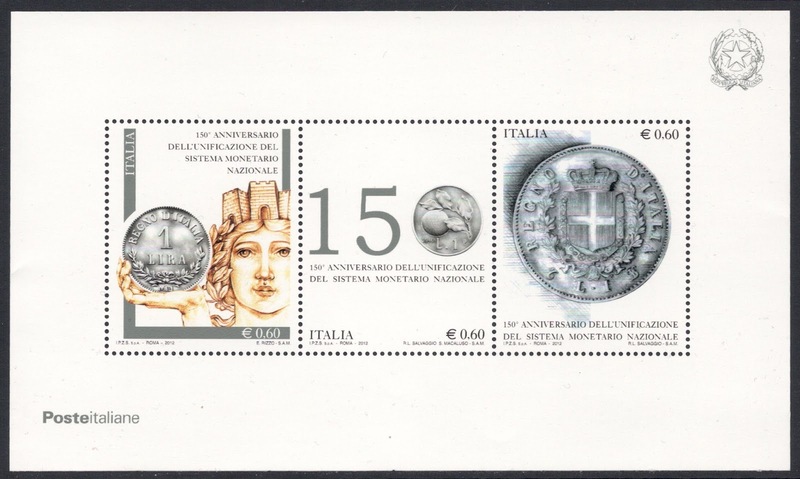 The first one of these was issued in 1921, as part of the set to mark the 600th anniversary of Dante's death. Her latest appearance is on an only recently issued miniature sheet to mark the 150th anniversary of monetary unification in Italy. Needless to say I didn't win (did come third though! ), because a great display with old 'Insufficiently Stamped' covers won hands down. 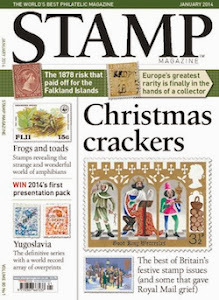 Oh well, at least it gave me an excuse to get some more Italian stamps in!